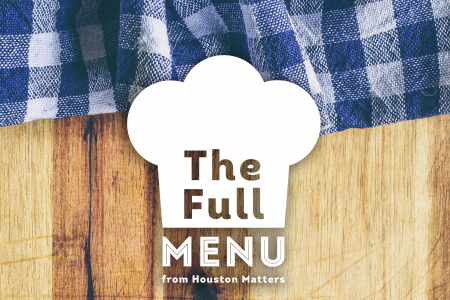 The work at Sharpstown and the new federal guidance follow a simple premise: that children learn better when they are fed and healthy. 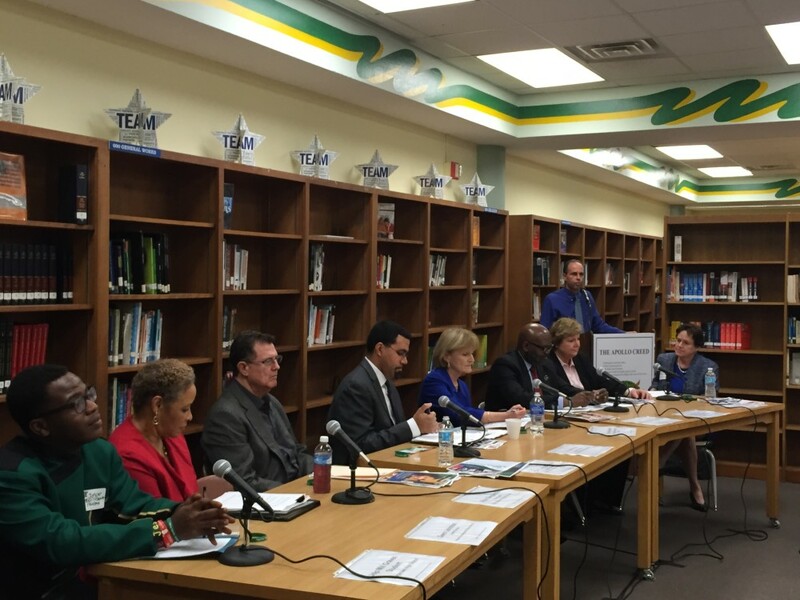 School leaders, community members and others gather at a round table discussion about healthy communities at Sharpstown High School. When acting U.S Education Secretary John King arrived at Sharpstown High School Friday morning, he didn’t go straight to a classroom or the library. He was welcomed inside a small building in the back of parking lot. “We are so happy that you came,” said Teresa Harris, the physician assistant and manager of the Memorial Hermann school-based clinic at Sharpstown. Harris listed all the services the clinic offers students at Sharpstown and ten other schools in the area: medical, dental, health care navigation, dietitian and mental health. The clinic is one of several health initiatives Sharpstown High has developed with partners. And King and other federal officials are holding up that collaborative strategy as a national example. During the visit, the U.S. Department of Education released together with the Department Health and Human Services a new toolkit that details five ways schools and health groups can partner together to promote healthy communities. The new guidance is called Healthy Students, Promising Futures. “What Sharpstown has done through multiple partnerships is to ensure that students have access to quality health care, quality dental care and they are seeing the difference it makes for students,” King said. 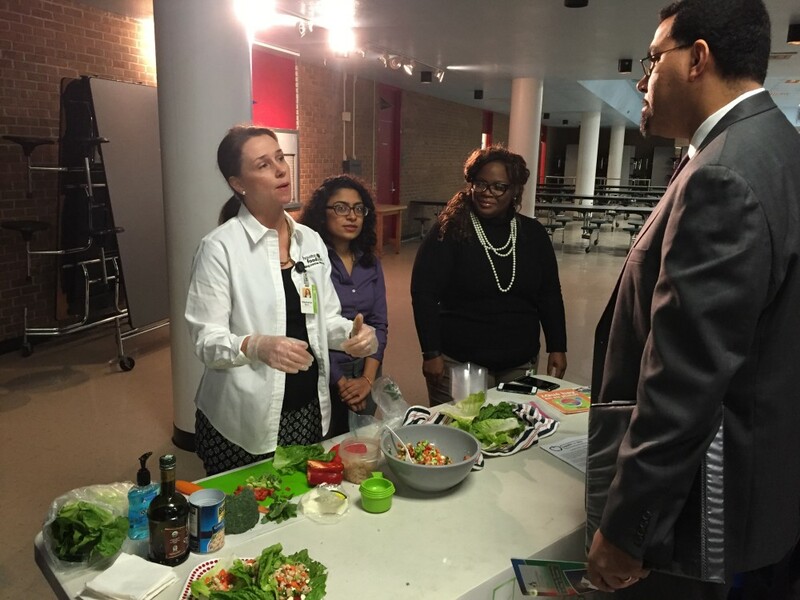 Acting U.S. Education Secretary John King visited a campus grocery store at Sharpstown High School, where the Houston Food Bank feeds 200 families a week. 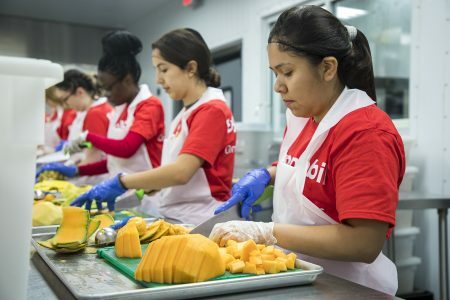 Other health projects on campus include a student-run grocery store that feeds 200 families a week and also daily 10-minute mindfulness meditations. 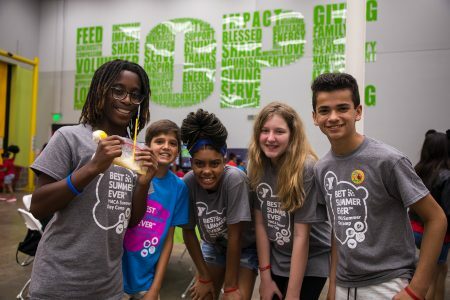 “No matter how good a school is they can’t learn if a child’s not at school,” said Carol Paret, chief community health officer for Memorial Hermann, one of the school’s partners. Sharpstown principal Rob Gasparello said that he sees that connection and results firsthand. “More of our kids are staying in school. Our drop-out rate over the last five years has gone down. 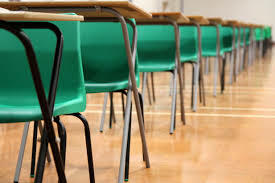 Our college acceptance rates that you see on the board over there have gone up and kids believe that there’s something, that they have a plan now,” he said.